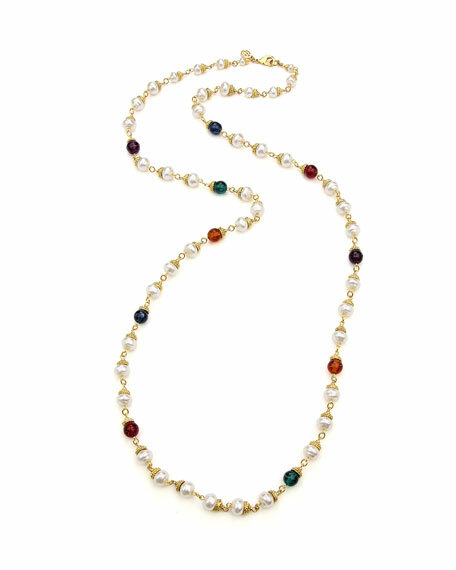 Ben-Amun multicolor long beaded necklace. Round pearly glass and mixed beads. For in-store inquiries, use sku #2553541.